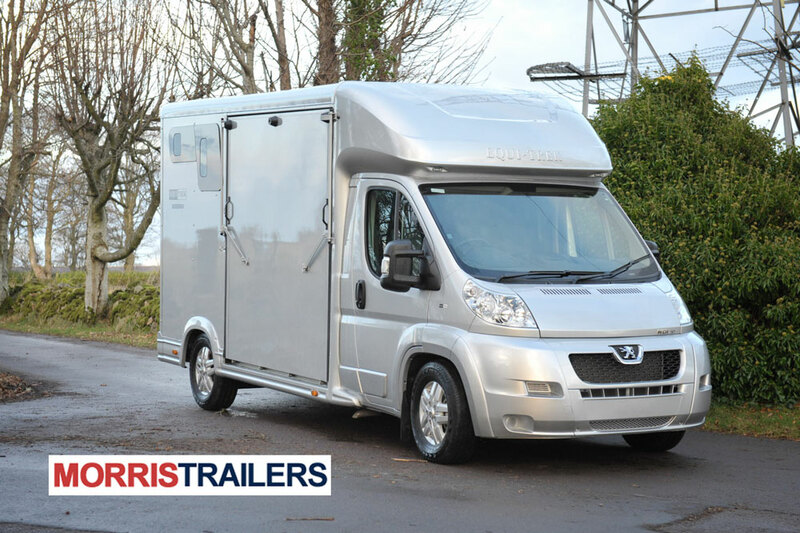 Designed for the competitive owner who requires a horsebox to carry two horses combined with a larger living area for extra luxury and style. 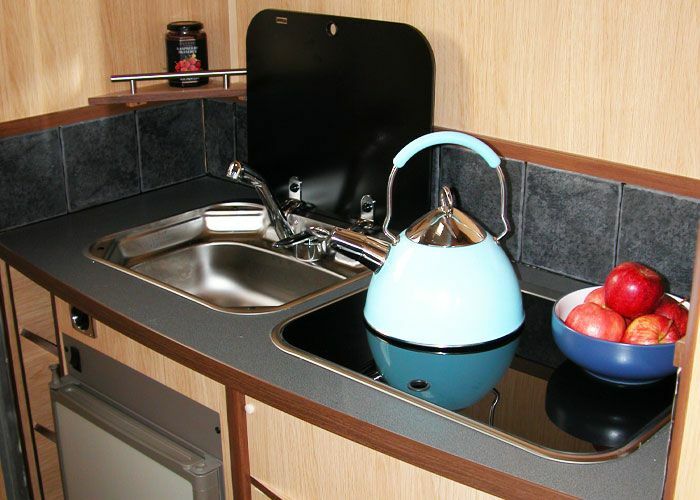 The Valiant is fully fitted for staying away with comfortable seating, double bed, kitchen and a toilet area. Moreover, the Valiant has a tack locker and grooms locker as standard. 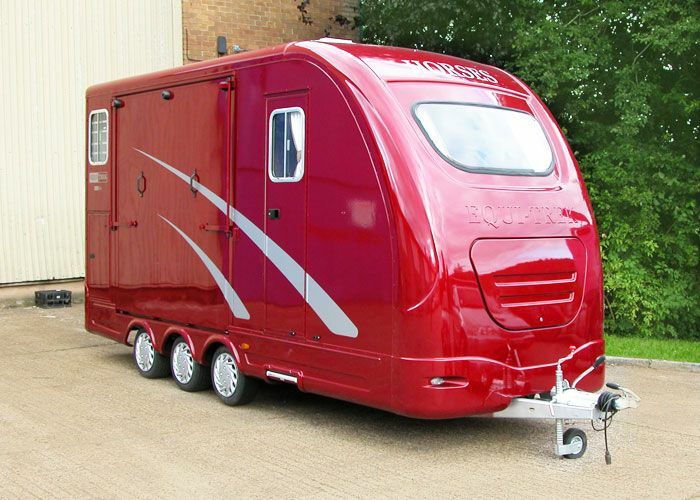 The unique 3 axle layout allows much larger living area than can normally be achieved in this style of vehicle. Besides, the tag axel allows a weight balance on the longer chassis. Body GRP and fibreglass for low maintenance. Colour White with graphite trim as standard. Any other colour/graphic available at extra cost. Custom Graphics: Graphics of your choice. Quotation on request. Floor Strong aluminium floor covered with heavy duty rubber. Tie Rings Two external tie rings. Access Door through to tack/changing room. Doors GRP ramp safety doors to aid loading. 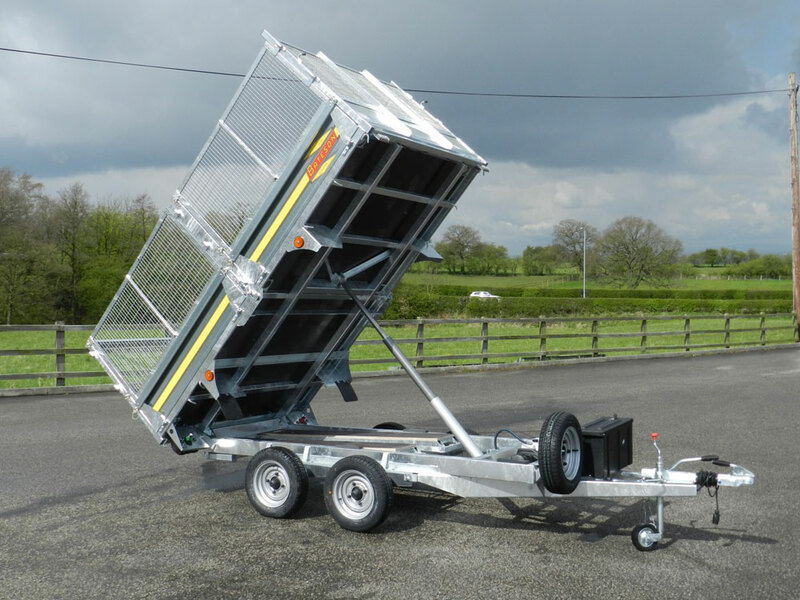 Ramp Lightweight, wide full height ramp with gas struts for easy lifting covered with rubber and aluminum tread rails. 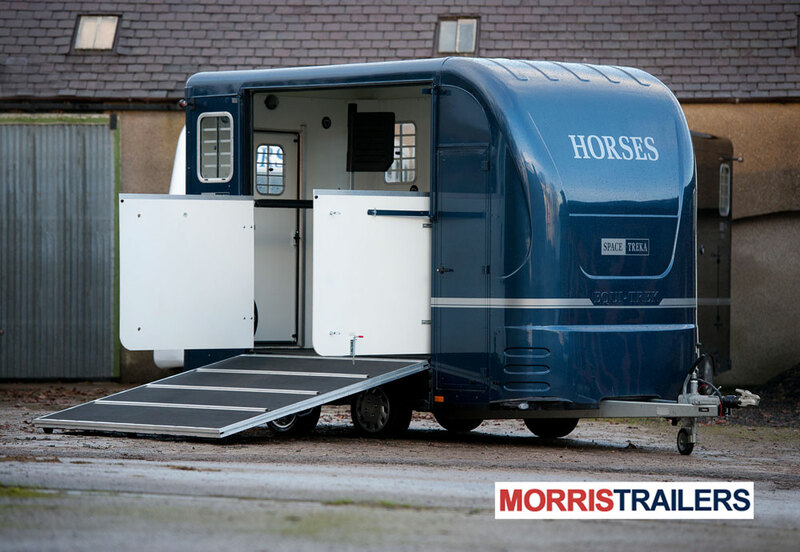 Tack locker Fitted external door, internal light and two saddle and bridle racks. Tie Rings Two horse tie rings and two hay net tie rings. Ventilation Four opening windows and roof vent. Cooking Two gas hob cooker. 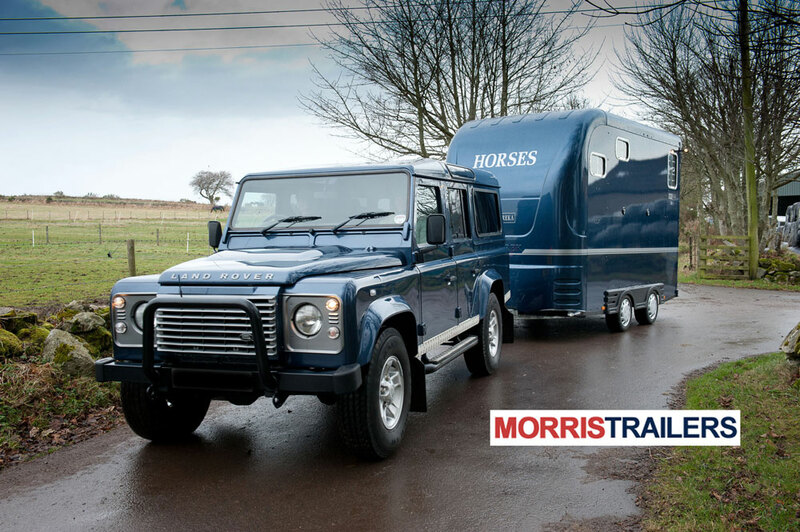 Leisure Battery Provides independent power for interior and lights inside horse area. Lighting Large central light and additional spotlights. Seating/Sleeping: Comfortable seating for four people with storage beneath which converts into a double bed. Matching upholstery and blinds. Spare Wheel As standard, we provide a spare wheel. 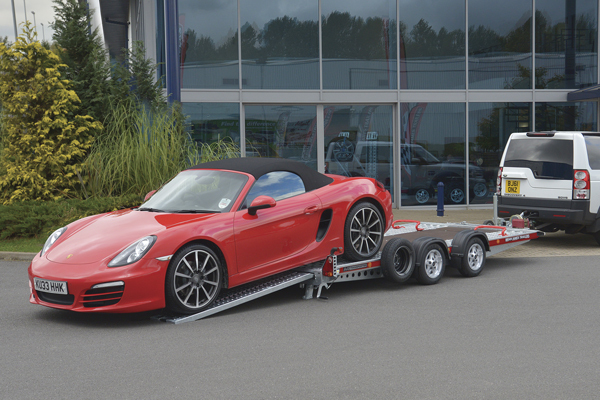 You may choose not to carry the spare wheel which weighs 30kg. Table Table which folds away neatly. Toilet Compartment Separate compartment with coat hooks, opening window and cupboard locker below. Ventilation Three opening windows and roof vent. Walls Lined with high impact kicking boards.